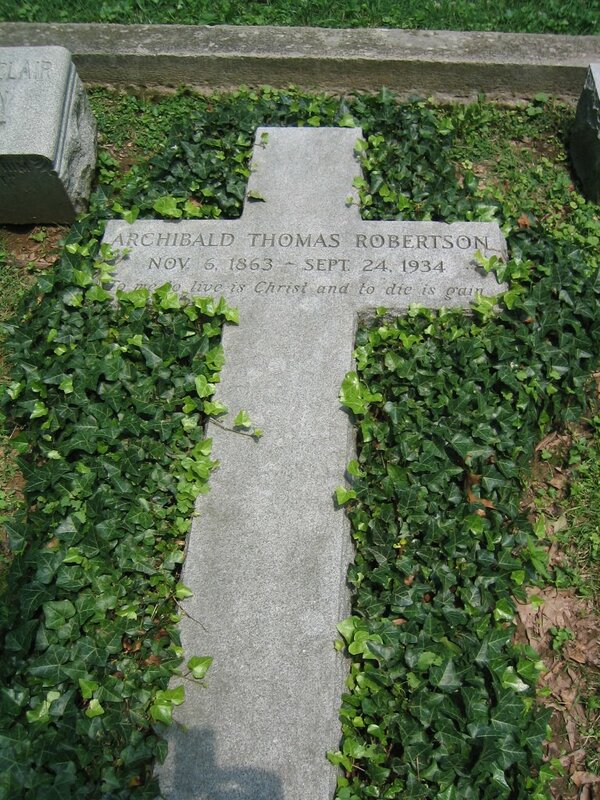 Today’s post features pictures from the graves of Basil Manly, Jr. and A.T. Robertson. 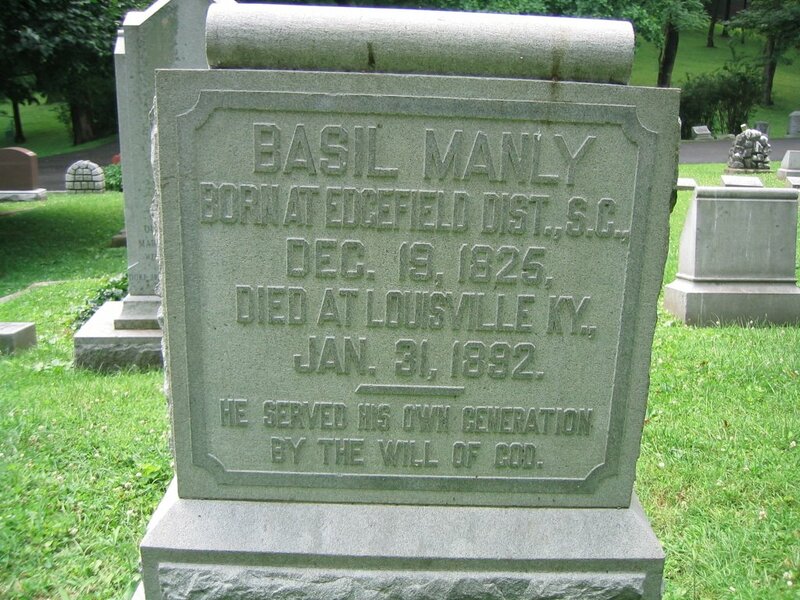 The previous posts featuring pictures from James P. Boyce‘s and John A. Broadus‘ graves may be seen by clicking on their respective names. 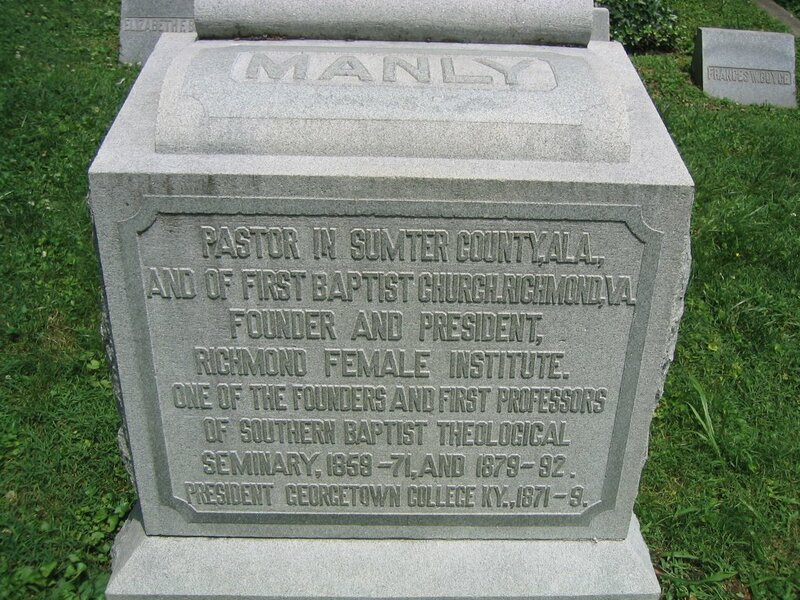 Manly, Jr. was one of the four founding professors of SBTS and A.T. Robertson was the son-in-law of John A. Broadus and New Testament and Greek professor at Southern. 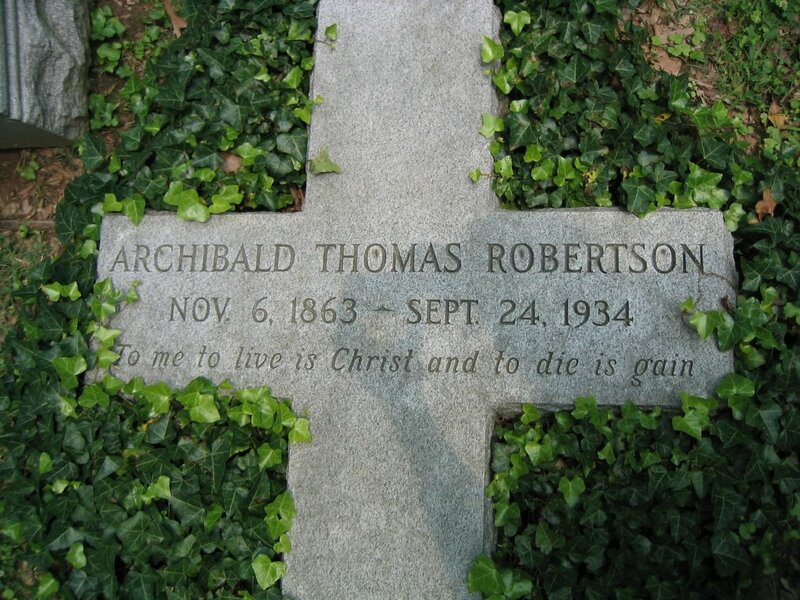 His Word Pictures in the New Testament is still in print and being used by pastors and scholars.